If we want to check that data is member of it or not we will take the root, data block, and all the blocks in path between data and root. According to this picture if i want to check that data block, then how can i validate the hash pointer store in above block without having left child? You are given the hash of the left child itself, and when combined with the computed hash of the data you are given, you can compute the hash of that block (typically referred to as a node). With that hash, you hash it with a provided hash of the left child in it's parent. Then with that node's hash, you hash it with the provided hash of the parent's right child in order to get the root. 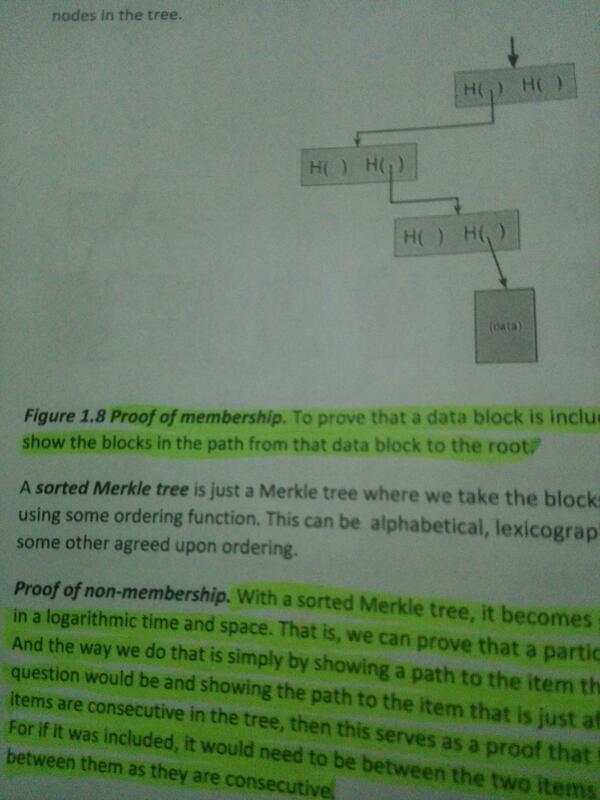 If all of the provided hashes for branches that you do not have are correct, and the data is in the merkle tree, then the root hash you end up with will match the root hash that you are given.